Facebook has been increasingly compared to Google of late, and the social network’s acquisition of FriendFeed yesterday might make some large strides toward getting its functionality closer to that of the search giant. FriendFeed may not have the audience or cache that Twitter has right now, but it has something else that Facebook values: search functionality. Twitter’s popularity has escalated as FriendFeed has stagnated, but the company offers more than just executive programming talent to bring to the Facebook team. If Facebook expects to be the dominant player in the social media space (and it does), it’s going to need to make itself an important aggregation tool. And FriendFeed can help with that. Facebook paid an estimated $50 million for the company, in a combination cash and stock offer. The social network clearly isn’t paying for FriendFeed’s user base. The company had only 989,000 unique users in June, compared to Facebook’s 340 million, according to comScore. But FriendFeed could help Facebook go a long way towards something very profitable: a functional social media search engine. And search is something Facebook has spent a lot of time thinking about. useful information in the near future. As it stands, no one has come forward with a good product to search the social web. Google, Yahoo and Microsoft are all making moves toward getting that info, but haven’t gotten even close to producing comprehensive social search results. Twitter made some progress when it purchased search engine Summize, but that only looks back through the archives a few days. And it only searches Twitter. FriendFeed aggregates user data across varied social media tools. on the site and give advertisers more ways to target those users. customers based on the intentions users express in a search box. If Facebook can make itself the default social search engine, it could have a very powerful monetization tool on its hands. And FriendFeed can help with that. Perhaps not alone, but if Facebook builds on the tools the company has built and gets more people to think of it as a social media aggregation service, it could get pretty far toward stealing Twitter’s thunder — and shaking Google’s search dominance. media, including Marta Kagan’s ‘What The F**k Is Social Media?’. figures, as well as recommendations, just like the original. Some of the numbers are pretty staggering. All in all it’s very helpful if you want to convince the boss about an investment into this space. The year of mobile: fact or fiction? 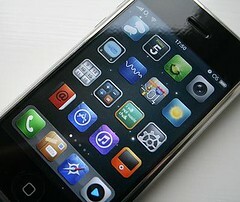 Will 2010 be the year of mobile? It’s the perennial question and it’s certainly getting closer. Improving handset technology and increased demand for the mobile internet are propelling the industry forward. Econsultancy’s new Mobile Marketing Buyer’s Guide explores the various developments that are removing the barriers to growth.